Save Up To 60% On Toys & Costumes At Shop Disney! 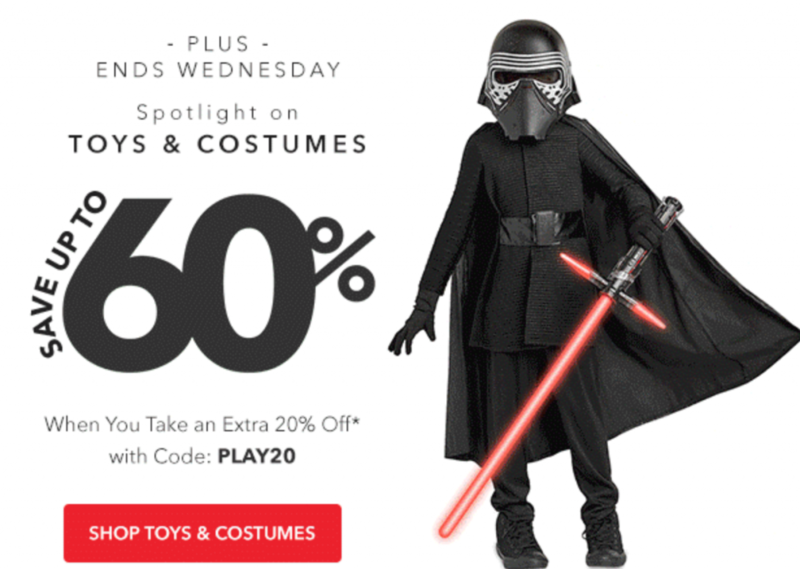 Head over to Shop Disney where you can save an additional 20% on toys and costumes when you use promo code PLAY20 at checkout. That will take your savings up to 60% off! Costumes start as low as $19.99 and play sets are as low as $15.00.